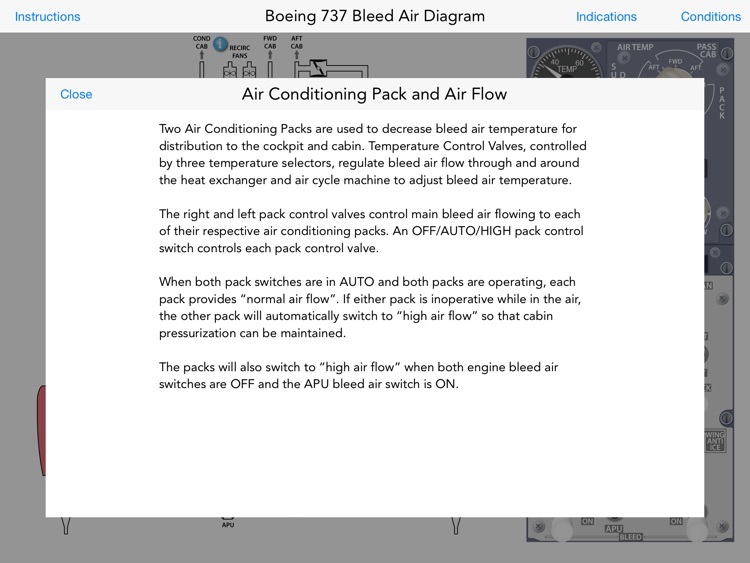 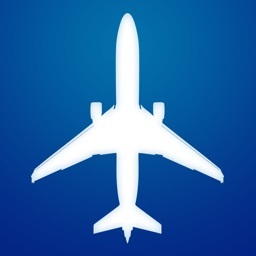 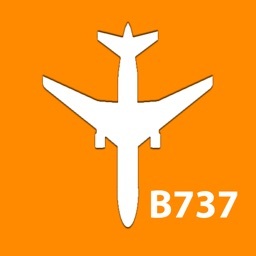 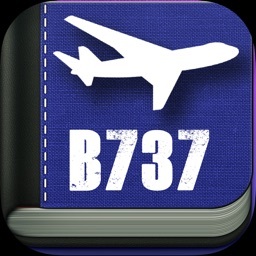 The Boeing 737 NG Bleed Air Diagram is a completely interactive training aid that can be used to study and review the B737 pneumatic system. 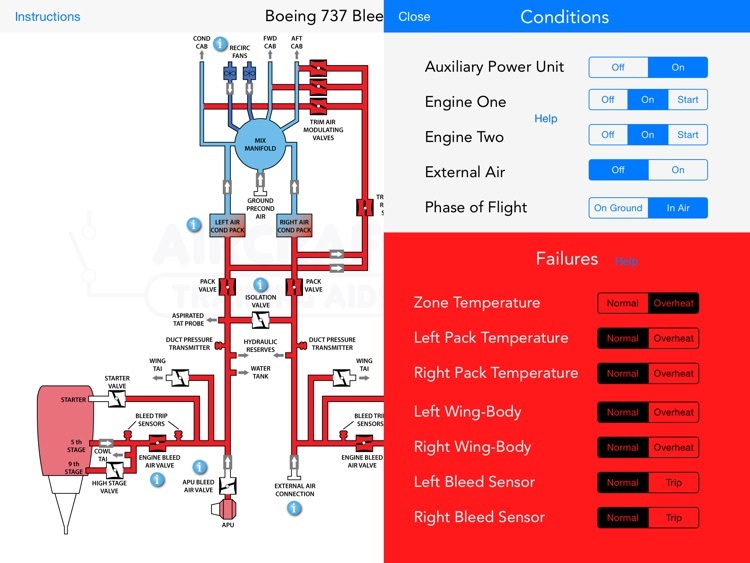 All switches and knobs associated with this system are interactive, allowing for multiple scenarios and failures. 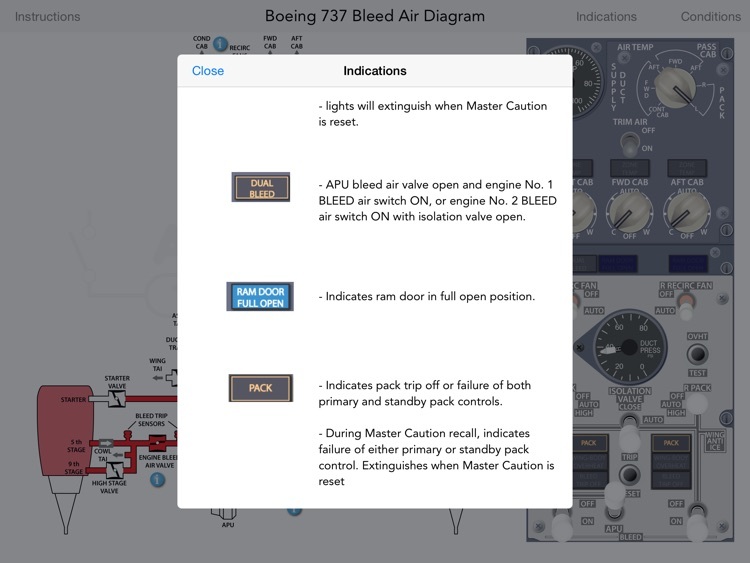 Run emergency checklists when simulating failures and some failures will correct. 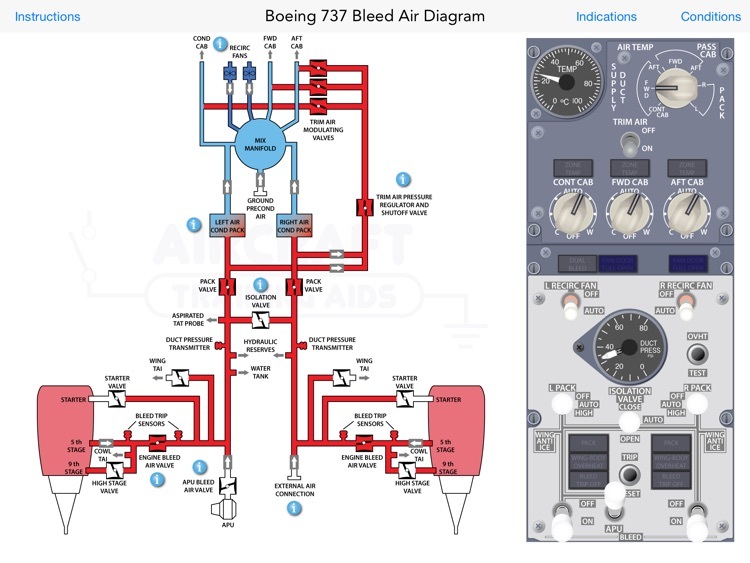 DISCLAIMER: The Boeing 737 NG Interactive Bleed Air Diagram is to be used as a reference only and can not be used for flight or to replace formal training.